Selling part of your business or discontinuing a product line is a complex process. However, you are not free from liability or risk once the process is complete. If your goods are still sued after you exit the market, you are still liable for any potential personal injury or property damage resulting from those products. When choosing to discontinue operations, many companies make the mistake of not purchasing insurance coverage to protect against defense and indemnity expenses that accrue after the business closed or product line is obsolete. As a result, they are left vulnerable to a potential lawsuit. Organizations that discontinue operations and consequently layoff employees also face personnel issues and legal hurdles. To avoid complex legal headaches, business owners must be knowledgeable of their compliance obligations. Once a product becomes available to the public, its makers become liable, even when the company is sold, merges with another organization or when the product is no longer produced. You are liable for any product you manufactured that is currently or was once on the market, regardless of the current state of your business operations. Get to know industry standards and applicable legal requirements. Before leaving your business or ceasing operations, determine how you must legally do so. For instance, you must give notice to creditors, the specifics of which vary by jurisdiction. Devise a run-off business infrastructure. By doing so, you can handle future claims that result from incidents that occurred before the business closed. It is wise to devise risk management solutions in anticipation of a problem; you will already have remedies in place. Also, if defendants have difficulty locating you, this may be seen as an evasion of responsibility and could result in punitive damage for bad faith conduct. A run-off plan will mitigate those risks. It is also smart to let customers know why you are closing your doors or discontinuing a product line. Create an infrastructure based on your needs. The creation and design of your company’s infrastructure will depend on how the business is shut down. Also, companies operating in highly regulated fields will have more obligations and the structure must accommodate losses far beyond when the business is closed. While creating an infrastructure, consider hiring a consultant who can provide guidance concerning future claims. You may also benefit from the expertise of loss auditors, legal counsel and product liability experts. Provide guidance to those who remain. If you are only closing part of your business or discontinuing a product line, run-off your responsibilities before doing so. Provide legal advice, risk management and commercial guidance. Maintain solid business records. Document when and where products were manufactured and to whom and when these products were sold. Your organization should also document the product development process, quality control measures, testing procedures, vendor lists and supplier lists. If you sell your business, keep all of the records from that transaction. Create problem resolution systems. This may include consumer hotlines, complaint reporting procedures, incident forms, etc. Also determine why merchandise was returned to your company to potentially identify any potential product defects. In addition to the concerns about product and consumer liability, there are also employee liability issues that must addressed when discontinuing operations, specifically with regard to layoffs and terminations. While this may be a trying time for your organization, it will be significantly worse if a terminated employee files a lawsuit against the company, so it is best to be prepared. When employees are let go, ask them to sign a waiver promising not to sue (known as a separation agreement). Be mindful of the Older Workers Benefit Protection Act of 1990 (OWBPA), which mandates that workers over age 40 have a minimum of 21 days to sign the release and another seven days to change their decision after they do so. If you pressure workers to sign before this time, you are at risk of a lawsuit. Under OWBPA, you must also provide 45 days to sign a waiver for multiple workers being laid off at the same time. Consider the Worker Adjustment and Retraining Notification (WARN) Act, which requires companies in certain circumstances to give employees notice before a layoff. More information is available at http://www.doleta.gov/layoff/warn.cfm. Offer severance packages based on the employees’ titles and lengths of service, as opposed to offering a universal package for all employees being laid off. Do not blame employees for things that they did not do or make false accusations as a way to justify a layoff. Conduct layoffs within a short period of time. If you must discontinue operations for financial reasons, high-ranking employees should also take some cuts as well. This shows remaining employees that everyone is making sacrifices for the company. Provide job counseling, resume writing guidance and job searching assistance to employees being let go. Discontinuing your business’s operations presents may liability issues with regard to your products, services and employees. 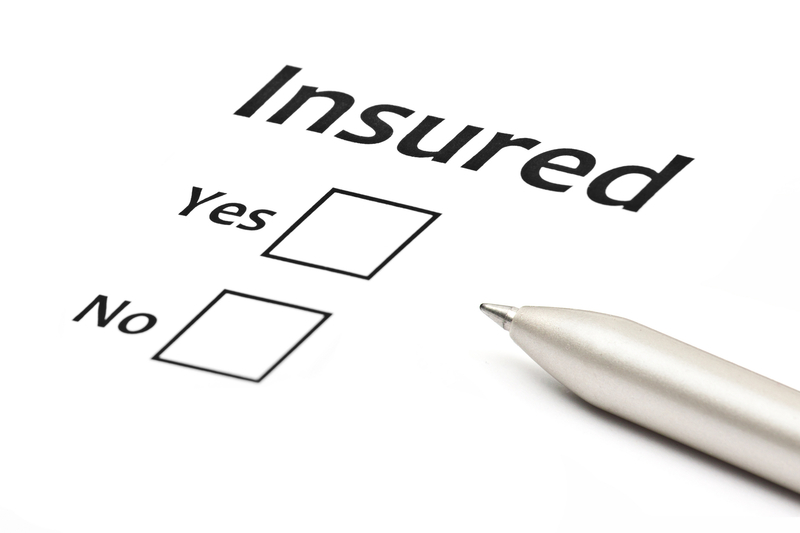 To learn more about the insurance solutions designed to mitigate those risks, contact us today. How Does Risk Management Create Value? Risk management isn’t just a defensive tactic designed merely to keep something bad from happening. Effective risk management can also be constructive and encourage the creation of something positive. This positivity is a culture of value and self-awareness. Risk management doesn’t have to be a secondary addition to your business strategy, it can be incorporated into your overall business plan to give you direction and help you make the best decisions. Balancing risk avoidance activities and responsibilities throughout the company makes it so that everyone is aware of what the risks are and how they are to approach them. Rather than a strategy dictated from up above, risk management becomes more of an open discussion that includes input from multiple areas. Not only is a fully comprehensive view of risk management at work in a company, it’s all-inclusive for management and employees alike. Managing these types of risks, risks that have many variables, as part of your business strategy allows for large scale projects such as social media monitoring to be broken down into smaller manageable tasks and spread throughout the company. Employees can become more involved in the company’s risk management. It also potentially makes for more effective risk management if employees are encouraged to make suggestions for improvement or development. To best understand how your risk management can bring value to your business, you need to understand how these risks can affect you. Generally they fall into four areas – strategic, operational, financial and compliance. How would your business plan get thrown off? What would loosing the use of a key piece of machinery mean to business? Often times the answers will come from those who would be directly affected by these risks, frontline staff. Proactively managing these risks not only gives management, but all members of staff piece of mind that risks have been comprehensively assessed. The value risk management creates can be viewed in many ways. It’s including employees of every level in the protection and management of the company. It’s tying business strategy with risks avoidance and management for efficient planning and strategizing. It’s creating opportunities for everyone to get involved and strengthening the company’s defenses against risk. Cell phones, CDs, food and even text messages can pose serious distractions to drivers. In some cases, drivers will even text message their backseat passengers. Distracted driving contributes to 80 percent of collisions. Actions like ignoring traffic signals or school zone signs and changing lanes without checking blind spots are all considered “risky behavior.” The difference between risky behavior and distracted driving is that risky behavior is deliberate, while distracted driving is often the result of ignorance. Most drivers occasionally speed, but teens do so because they don’t have a good sense of how a car’s speed can affect their response time. On average, teens drive faster than all other drivers as a whole. They will exceed speeds on residential roads that they interpret as empty because they haven’t had any close calls there. The Insurance Institute for Highway Safety reported that speeding factored into roughly one-third of all fatal crashes in 2005 when teenagers were behind the wheel – some 50 percent more than it did in fatal crashes for 20- to 49-year-olds. Teens frequently overcrowd their cars, cramming five or six into a cabin meant to seat four or five. Worse yet, the extra passengers often result in teens driving more aggressively. The distractions of carrying too many passengers can have serious consequences as well. When teens drink and drive, they’re even less likely to practice safe habits like seat belt usage: Of the 15- to 20-year-olds killed after drinking and driving in 2003, 74 percent were unrestrained, according to the National Highway Traffic Safety Administration. Because teenagers are too young to drink legally, they’re also less likely to call their parents to come get them when they shouldn’t drive. Maintaining a proper following distance is a critical step in preventing accidents. At 60 mph, a typical car needs between 120 and 140 feet to reach a full stop. Most SUVs require an extra 5 to 10 feet on top of that. Consider that 60 mph translates to 88 feet per second and it’s easy to see why maintaining a proper following distance is a critical step in preventing accidents. A 2003 survey by NHTSA reported that 79 percent of drivers ages 16 to 24 said they wore their seat belts regularly, while 84 percent of the overall population did so. Approximately 21 percent of young drivers do not wear their seat belts regularly. Many young drivers have a sense of invincibility that also factors into teen speeding. Fortunately, many cars today have seat belt reminders that flash warning lights or chime until belts are secured. Call them annoying, but they help keep occupants buckled. Knowing how to avoid an accident comes with driving experience. Young drivers can only learn so much in the classroom, which leaves learning maneuvers like straightening out a skid or how to apply the brakes correctly to real-world experience. Speeding and distracted driving only make things worse, as they compound the lack of experience by putting drivers at higher risk of encountering an emergency situation in the first place. Too often, a combination of tight budgets and high style leads teens to pass up important safety features for larger engines and flashy accessories. A teen or novice driver will opt for a cool-looking sports car rather than a car that’s really a safer choice. Then, if they sink all their money into it, they might be remiss in maintaining it. Is Your Pooch Considered Dangerous? Accidents involving dog bites cost the insurance industry over $350 million per year and are now the largest cause of Homeowners Insurance claims in the U.S. As a result, many breeds are considered “uninsurable” or may require heightened premiums. It is difficult to determine how a dog’s breed will predict its disposition, much like it is hard to predict how nature versus nurture plays a role in the development of a child. Restrain your dog with a strong leash when in public or fenced in while in the yard. The fence should be at least six to eight-feet tall, depending on your dog’s size. Socialize your dog as a puppy with other dogs and people. Take him/her to puppy classes starting at a young age, and praise your dog when he/she behaves well with others. Spay or neuter your dog, as 80 percent of all fatal attacks are caused by non-neutered male dogs. Fixing a dog alters its territorial instincts and aggression. Train the dog not to bite your hands, furniture, etc. If your dog starts to growl or chew on something, clap your hands loudly to distract him/her and then provide a toy for the dog to play with. Praise the dog when he/she chews on toys only. Give your dog lots of positive attention. Properly identify your dog with tags and a microchip. Watch your dog’s behavior closely and contact your veterinarian if he/she exhibits any of the following behaviors: growling, snapping, biting family members, being aggressive towards strangers or showing signs of extreme fear. Your vet can refer you to a veterinary behavior specialist. While the dog is going through treatment, be extra cautious while in public and consider placing a basket muzzle over the dog’s mouth. Insurance can usually be obtained for most dogs; however, there are some limitations. If you own a breed that has been historically violent, you may have to pay an increased premium (even if your dog has not displayed any violent behavior). If your dog has passed obedience school tests, you may qualify for a premium discount. According to the Centers for Disease Control and Prevention (CDC), approximately 4.7 million people are bitten by dogs annually, and around 17 percent of those victims need medical care. There are also 10 to 20 people who do not survive the attack. The CDC claims that dog bites are an “epidemic” in America. To curb dog bites, some communities around the U.S. have banned certain dogs as pets, as they are perceived to be more dangerous or a have track record of violence. This specifically applies to Pit Bulls and Rottweilers.